In the comments on another posting, a reader wondered how far one could deviate from a prototype while still calling it a model of a prototype. For example, if the prototype location is straight, can one curve it (say, 90 degrees, to model the location on an L-shaped shelf)? As with so many things in this hobby, for me the answer is, “It depends”. 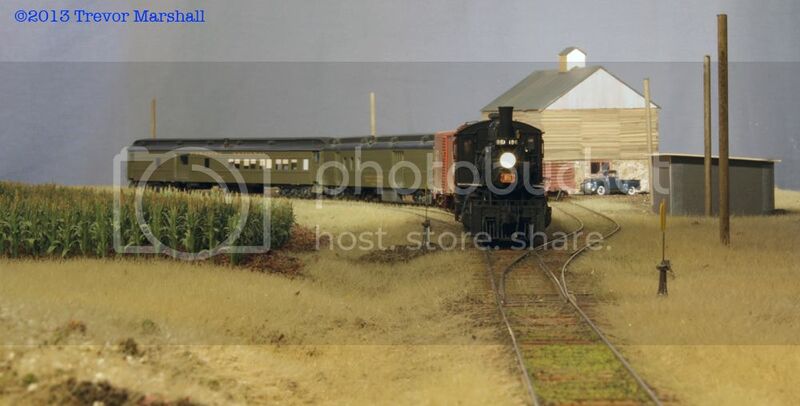 On my Port Rowan layout, my rendition of Port Rowan, Ontario is straight (like the prototype), although compressed somewhat. But while the railway’s line through the next town up the line – St. Williams – was straight, my version of St. Williams is L-shaped. It also features a structure I scratch-built based on a prototype in Cheltenham, Ontario – 174km away. St. Williams plays an important role on my layout – but it’s a supporting role. My real interest was in modelling the activity in the terminal at Port Rowan. That said, I also know that I have designed St. Williams to operate like the prototype. St. Williams had one double-ended siding and one stub-end spur, so that’s what I’ve modelled – even if I have monkeyed with the physical arrangement somewhat. Building St. Williams with a lap-siding, or a wye, or a yard, or a diamond crossing with the Lake Erie & Northern, or even a couple more stub-end sidings – all in the name of “enhancing” the operation – would also change the character of the place so much that it would no longer be St. Williams. At least, not to me. So, it depends. It depends on the prototype. It depends on one’s tolerance for variation from the prototype – keeping in mind that sometimes the variations are necessary if one wants to build the prototype in the space on has. It depends on what prototype photos one has – what scenes one wants to re-create. And it depends on what scenes one wants to enhance. I would argue that the curve through St. Williams actually makes my modelled version more interesting, visually, than the prototype. I love the look of the main and siding swinging around the cornfield in the first photo in this post – a view I could not enjoy if I had built St. Williams more faithfully. Leaving Cataract Junction, the branch then passed through a handful of communities. At Fergus, the CPR (and CNR) served Beatty Brothers, a major industrial customer whose manufacturing plant built washing machines. But the rest of the branch was typical of quiet rural Ontario communities. The railway would haul passengers, express/LCL and carload goods typically found in an agricultural area. In the popular modelling era of the 1950s, this branch was served by a mixed train hauled by one of the railway’s D-10 class 4-6-0s, with a combine bringing up the markers. 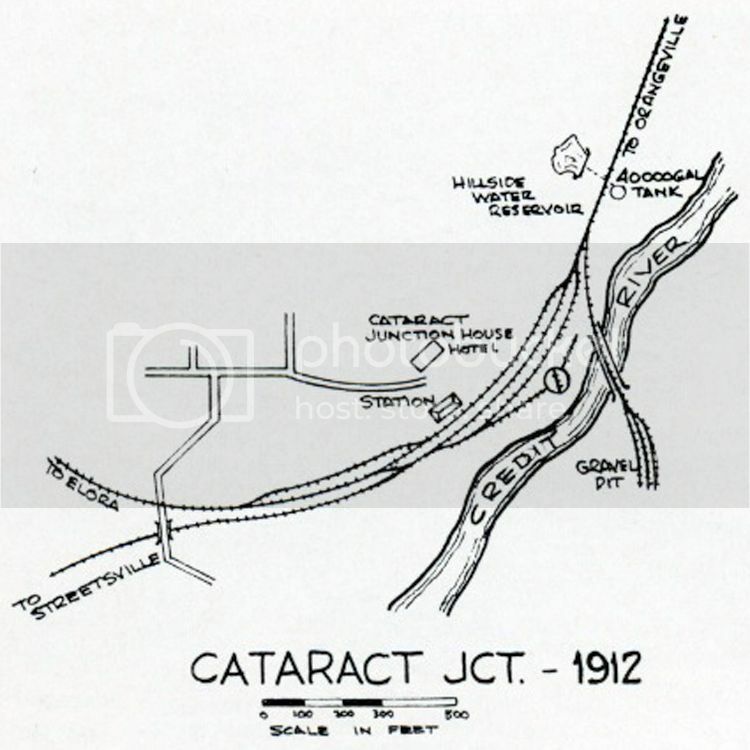 — CPR Bruce Division Branches pt 1 includes a link to a map of the Cataract facilities as they appeared in 1923, plus a couple of pictures of the water tank. 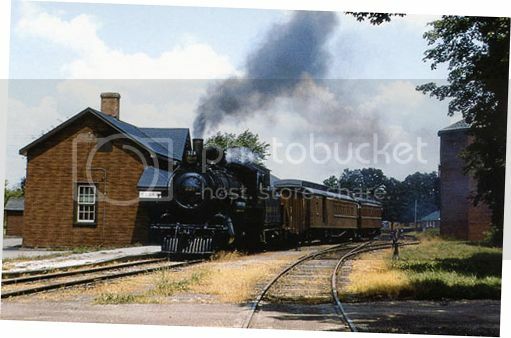 — CPR Bruce Division Branches pt 2 includes several photos of the Elora branch, and a link to a map of the Elora facilities as they appeared in 1949. 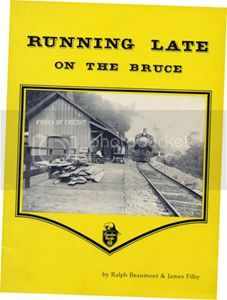 — CPR Bruce Division Branches – Passenger Service includes several photos of typical mixed trains. 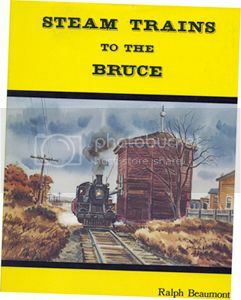 — The Bruce Branches Gallery includes several photos of the mixed to Elora, including a couple of lovely colour photos of a mixed hauling a business car as part of a line inspection. — Station galleries cover Cataract, Erin, Hillsburg, Fergus and Elora. 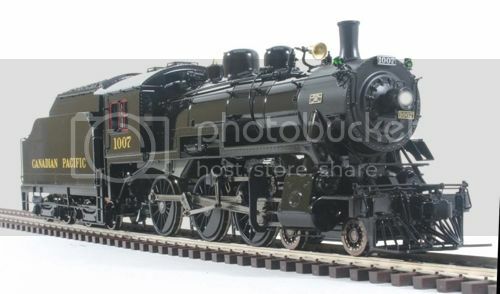 — Old Time Trains also includes an article about Beatty Brothers. 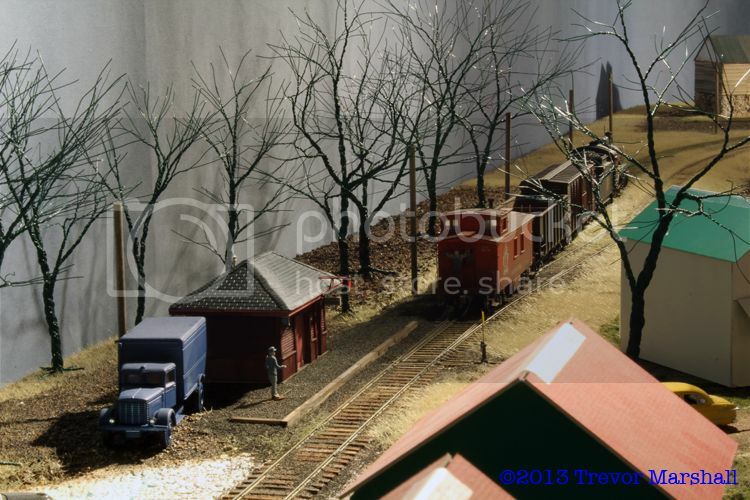 While I’m not going to provide a suggested plan for a layout, it would be fairly simple to lay out the mainline (between Streetsville and Orangeville) in an around-the-walls mainline with Cataract Junction on one side of the room and a double-ended staging yard on the other. The turntable at Cataract was taken out of service in the 1930s, which would save some benchwork depth on a layout. I don’t know if the spurs to the gravel pit were still active in the 1950s. Regardless, they would provide some additional traffic for a layout so I would include them. They could be moved north of the water tank (towards Orangeville) if needed. The branch to Elora could wrap around the inside of the mainline. Drop it down a grade from Cataract and swing onto a Peninsula to reach Elora. This way, one could model Elora in a deeper space and enjoy one’s work from three sides. While no model of a D-10 has yet been produced in S scale, the Elora branch survived well into the diesel era and photos on Old Time Trains show a CPR Maroon & Grey switcher heading onto the branch in 1959. This would have been a freight extra, as the last Mixed Train ran in 1956, but the line was not abandoned until 1987. S Helper Service offered an EMD SW-9 factory painted in CPR Maroon & Grey, which would be an excellent starting point for a detailing project. A layout based on any of these branches could be rewarding to build and engaging for a couple of operators to run, while remaining achievable in terms of time and space required to build and maintain it. The branches radiating out of Orangeville are definitely worth a closer look.